The Diyarbakır Chief Public Prosecutor’s Office issued detention warrants for 58 people on accusations that they linked with the Kimse Yok Mu aid organization affiliated with Turkey’s Gülen group, state-run Anadolu news agency reported on Tuesday . According to the story, 31 of 58 people were detained during police operations in ten provinces across Turkey. 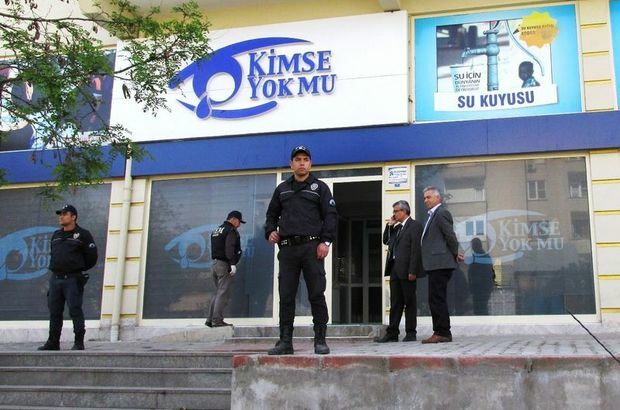 The Kimse Yok Mu Foundation, which was closed down by a government decree in the aftermath of a failed coup attempt on July 15, used to function as the corporate body of aid and relief activities for the Gülen group, taking relief to millions of people around Turkey and the world. Immediately after the putsch the ruling Justice and Development Party (AKP) government along with President Tayyip Erdoğan pinned the blame on the Gülen group. Fethullah Gülen, the leader of the group, denied having any role in the failed coup and called for an international investigation into it, but President Erdoğan and the government initiated a widespread purge aimed at cleansing sympathizers of the movement from within state institutions, dehumanizing its popular figures and putting them in custody. The Human Rights Association (İHD) reported on Oct. 16 that a total of 4,240 judges and prosecutors were dismissed by Turkey’s Board of Judges and Prosecutors (HSK). Forty-eight private health companies were closed, and two were allowed to reopen. Some 2,350 private schools, courses and dormitories, 15 private universities, 19 unions and confederations, 1,412 association and 139 foundations were closed by the government under emergency rule. Nine hundred sixty-nine private companies valued at TL 41 billion with a workforce of 47,000 were seized by the government. One hundred eighty-five media companies were closed. Only 23 of them were allowed to restart operations. One hundred seventy-four journalists are still in prison, and 889 press cards were cancelled in 2016 alone.